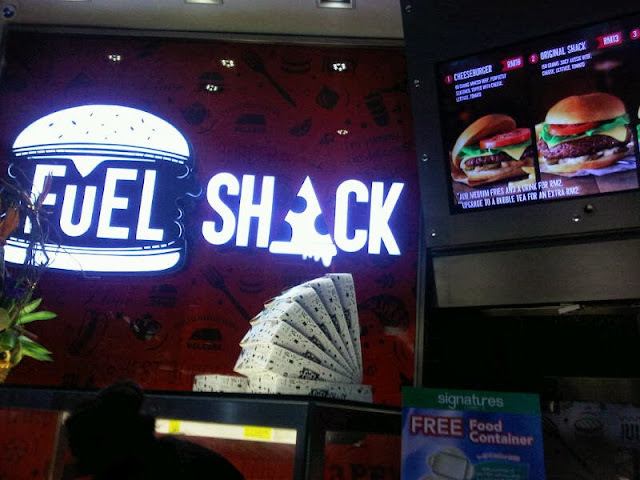 Fuel Shack has a space at the KLCC Convention Centre food court. 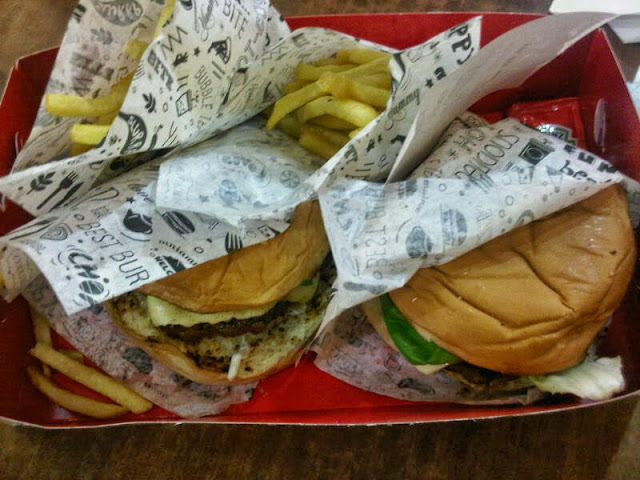 For those in the know, they sell extra large Pizzas (like those in New York), fried chicken, burgers and bubble tea. It's great food but you have to walk all the way to the convention centre to try their food (unless of course you're at the Convention Centre already). 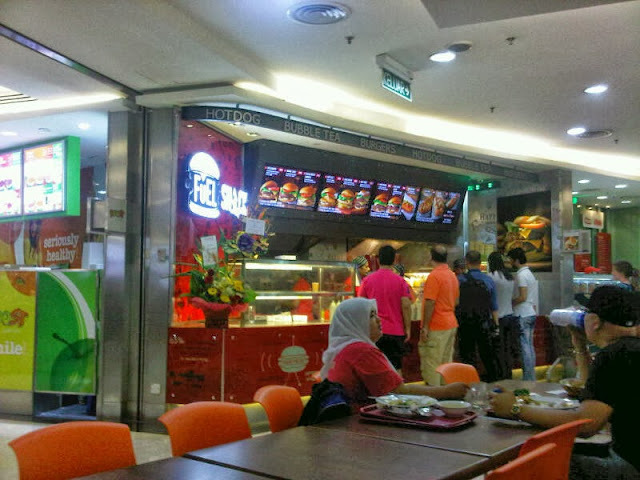 Good news is that they're now occupying a space at the Signature Food Court, Level 2 Suria KLCC. Since Milano Pizza is next door, they do not serve their signature pizzas here. What they do have are burgers, hot dogs and their bubble tea. I had the Original Shack burger and chicken grilled burger. Add RM2 for french fries and a soft drink (limited choice - they only had 100 Plus and Soya Bean just now). And I love their packaging too! Even though I went after the lunch hours, service was still slow. I actually asked for the Milo Bubble Tea but the staff was too busy multi-tasking, he thought I wanted a soft drink. They should also have a number calling system or something so that it's easier to know whose food are ready for pick-up.